1. In three separate small microwave safe container’s, melt 1/2 cup of each color candy melt on 50 percent power for 2 to 3 minutes, stirring every 30 seconds until melted and pour each into a separate decorating bag. 2. 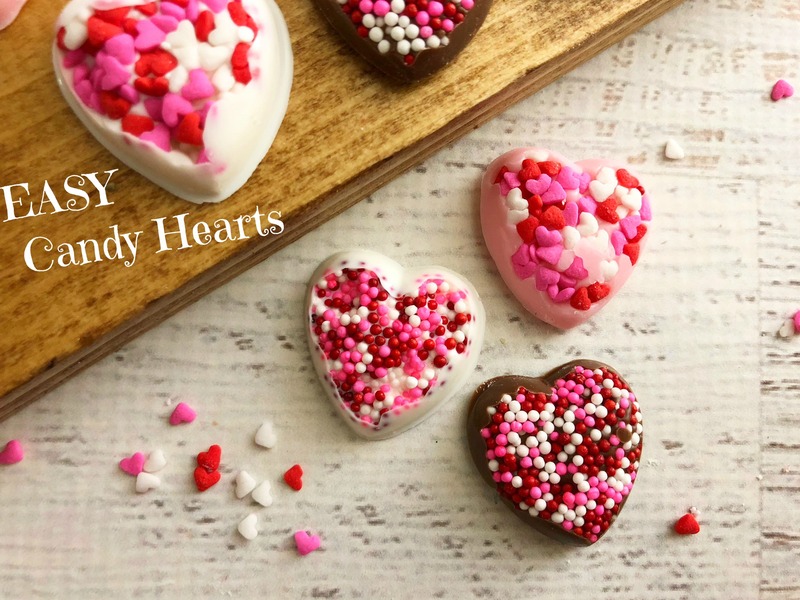 Fill your heart molds about 1/4 way with Valentine sprinkles. 3. Cut a small piece off the bottom of each plastic decorating bag and start filling each heart up with your melted chocolate. 4. Carefully tap the mold onto your countertop several times so the chocolate settles. 5. Freeze for about 10 minutes, pop out and enjoy!